Curtis Cook Residential Designs has been designing award winning custom homes in the Central Texas area for over 20 years. Curtis has built his reputation by designing elegant homes for clients with discriminating taste. The practice provides a full range of design services. It is well known for innovative design, quality and service. A detailed, organized process insures a smooth transition from initial designs to completed construction documents. Maintaining exceptional client services is the central goal of the firm. We have been rewarded by our clients with a history of repeat commissions and the forming of life long relationships. 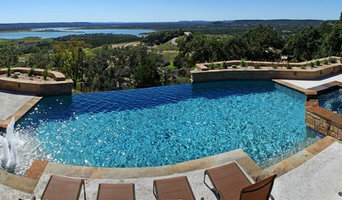 In 1984, I founded Ocean Quest Pools in Austin. Over the course of fifteen years, our Ocean Quest team built and perfected the vanishing edge concept and the “natural pool“ concept, and many other innovative designs. In the twelve years from 1987 to 1998, we won well over one hundred industry awards. We’ve built close to 1000 beautiful, innovative and energy-efficient swimming pools - some "vanishing edge," some "perimeter overflow," some truly spectacular "backyard resorts," and many wonderful yet very budget-friendly backyard swimming pools. At last count, we’d won more than 60 additional awards, which puts my lifetime total well over 200. In 2004 we gained the exclusive rights to carry the world-famous Jacuzzi hot tubs. some years later, we added Nordic hot tubs, and "swim spas" from Premium Leisure . We always carry multiple models on our showroom floor in Belton. 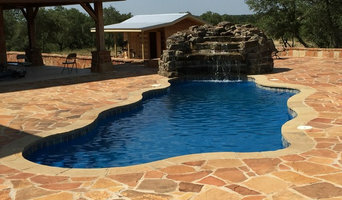 A swimming pool should bring you many years of care-free fun and enjoyment. No matter who you choose to build your new backyard dream, we want your pool-buying experience to be a good one. If we can help in any way, just give us a call at (254) 933-8370. We look forward to serving you. But before you start sending out dozens of emails and making phone calls, sit down and think about your project. What's your budget? What is the scope of your project? Will you need more than one type of professional to complete your home improvement project in Harker Heights, TX? Can you afford to complete the full project now, or should you tackle it bit by bit? 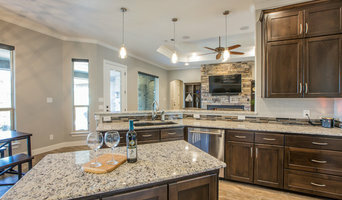 Once you've settled on your project’s priorities, budget and scope, it's time to start researching Harker Heights, TX home design professionals. Don't sell yourself short and settle on the first professional you set your sights on. Make sure that you're working with someone local, who can get to the jobsite easily and efficiently. Look into the person’s reviews, ask to speak with former clients and to see previous jobs in person. Take a good look at their portfolio photos: How similar are these projects to your own? Be honest — that mansion might look beautiful, but it might not have a lot in common with your little bungalow. Reach out to multiple professionals — especially for larger projects — and don't settle for the first bid you hear. Comparing multiple Harker Heights, TX professionals' bids and experiences can help you find the one that’s best for you. Ask a lot of questions now, so you won't have unexpected answers later. Find a home design professional on Houzz. Narrow down your search by type of professional and location. 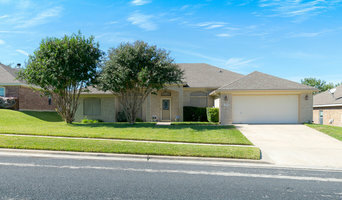 Browse Harker Heights, TX portfolio photos, read client reviews and contact each Harker Heights, TX professional for more information. Check out the information in the specialized professional sections too for tips on how to hire the right professional for your project.